TC Mag notes Cooler Master's full-tower CM Storm Trooper case is now available in Europe for 149.90EUR. 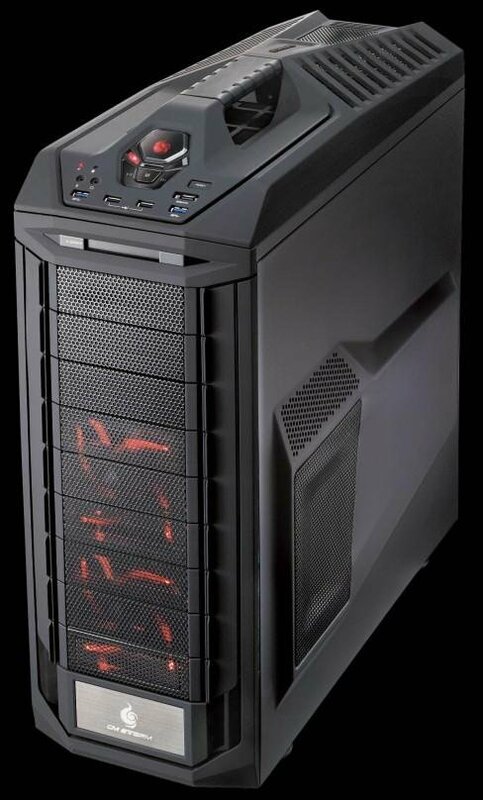 This gamer-friendly chassis measures 250 x 605.6 x 578.5 mm, is painted black both inside out out, and features a steel structure, a built-in handle, micro ATX, ATX and XL-ATX motherboard support, a front-loading 2.5-inch SATA drive dock, and a top-placed I/O panel (2 x USB 3.0, 2 x USB 2.0, 1 x eSATA, audio in and audio out). 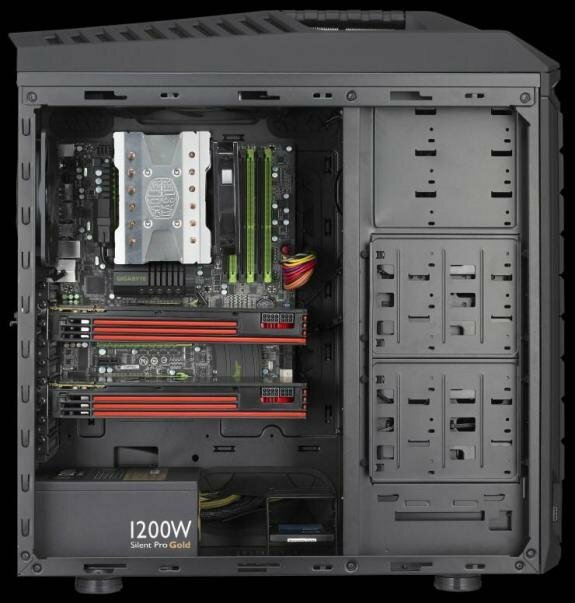 Moreover, it has nine 5.25-inch bays (six are taken up by 3.5/2.5-inch drive cages), three pre-drilled holes (found at the back) for watercooling tubing, a fan controller, and four fans - two 120mm models with red LEDs in front, a 200mm fan on top and one 140mm spinner at the rear. Finally, CM appeared normal cable management. And so, still would like to mention an interesting look and very good results in terms of cooling components.